London is easily accessible by a number of major motorways. The M25 (London Orbital) runs around the city itself and connects with a number of major motorways. The airport is situated to the east of the city of London, in Woolwich. It is close to the A13. Jake junction 30 for London City Airport. If you are travelling to London City Airport by car then you will need a map to follow for directions. If you’re flying into London City and plan to visit any of the attractions or cities a little further afield, you have a few options available to you. Jump in a cab from one of our trusted Taxi and Transfer companies or if you prefer to travel at your own pace, consider hiring a car. 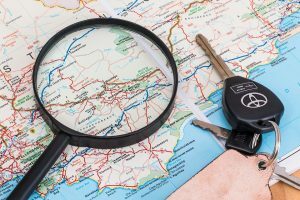 For your convenience, we have listed some of the most popular surrounding towns and cities, along with their distances from London City Airport, to help you plan your journey best.